Quinoa seeds contains all nine essential amino acids. New superfoods seem to be discovered with increasing frequency but rather like Superman they tend to be a fantasy construct. The label seems to attach itself to any foodstuff that is rich in a particular nutrient. Goji berries, an original superfood, have a lot of vitamin C, while the quinoa seed contains all nine essential amino acids. Both quinoa and goji berries - and other prominent superfoods such as kale, acai berries, blueberries and green tea - also contain high levels of vitamins that act as antioxidants. With this elevation in status often come wildly exaggerated claims that blockbuster nutrients will stave off ageing or prevent some as-yet-incurable disease like cancer. Who needs superpowers when you can eat superfoods? While the description is widely used in blogs and the media, it has no status in science - you’ll struggle to find it referenced in a peer-reviewed journal. ‘‘It’s just a marketing tool used by people to push a certain food,’’ says Dr Paul Roach, a University of Newcastle biochemist. The problem with the term is that it implies a food contains all the nutrients the body needs, he says. ‘‘But there is no such food." It is no secret that certain foods contain more nutrients than others. What makes the claims about superfoods dubious is the notion that because a product is high in a given nutrient, eating lots of it will prevent specific diseases or cure a health problem. That is a dramatically overstating the evidence, says Michael Vagg, a Geelong medical doctor and Deakin University lecturer. Much of the evidence to support a food’s ''super'' status comes from laboratory research using cell cultures. For instance, in a petri dish turmeric possesses molecules that will attack tumour cells. But that doesn’t mean people should start sprinkling the spice on everything they eat because it will treat cancer, says Dr Vagg. "To get from the basic science to the marketing claims [means] stretching one long bow after another," he says. To prove the disease-fighting properties of a nutrient requires layers of evidence. It starts with population studies, where a large group of people are followed and their food intake recorded over a period of time, typically years. Studies such as these have shown people who eat food high in antioxidants have lower rates of cancer and heart disease. But that is just an association between two events, says Dr Roach. It does not show cause and effect, he says. For the next layer of evidence, scientists examine how a compound might work inside a cell. In the case of antioxidants, cell culture studies reveal the compound acts against molecules called free radicals, which damage cells. After such a "mechanism of action’’ has been uncovered, scientists move onto animal models. But to show definitively that an intervention - be it a nutrient, a compound or a drug - has a specific effect on the body requires evidence from a particular type of study in humans, one that tries to unravel cause and effect. Known as randomised control trials, they work by giving half the study participants the treatment or nutrient and the other half, the control group, a placebo. It is these kinds of studies that really put superfood claims to the test. But randomised control trials are expensive and time consuming, which is why this type of evidence is often lacking, says Dr Roach. In the few instances where they have been done, the results were not what people expected, he says. Smokers given supplements of beta-carotene - a vitamin thought to ward off cancer - displayed higher rates of lung cancer. And while studies in cell culture showed how vitamin E could prevent heart disease, in several randomised control trials people given the supplement were worse off than the control group, Dr Roach says. ‘‘There’s been lots of circumstantial evidence that would point to something being true. But the cause-and-effect studies haven’t shown it so far,’’ he says. Dr Vagg says it is easy to understand why some people are wooed by superfoods. It make them think they are making smart choices about their health. 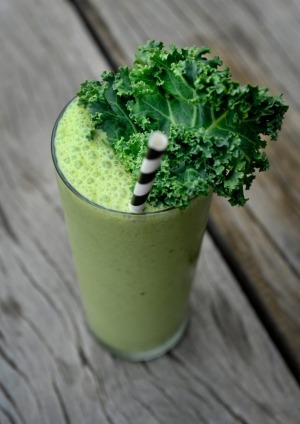 ‘‘The look on people’s faces when they tell you they’re having their kale and quinoa shakes, they are just loving themselves,’’ he says. Savvy marketers prey on this weakness, using the term to promote their products even when the scientific evidence does not support it, says Vagg. Research does show that eating a balanced diet contains all the nutrients a person needs. ‘‘People are always looking for a quick fix, that insider’s edge," he says. One benefit of superfoods seems to be that they stop people from eating other junk, an unintended consequence that Dr Vagg says is not a bad thing in country such as Australia where many people are overweight or obese. But the superfood fad comes at higher cost than is measured in supermarket bills alone, mostly to people living in poor countries or to the environment. 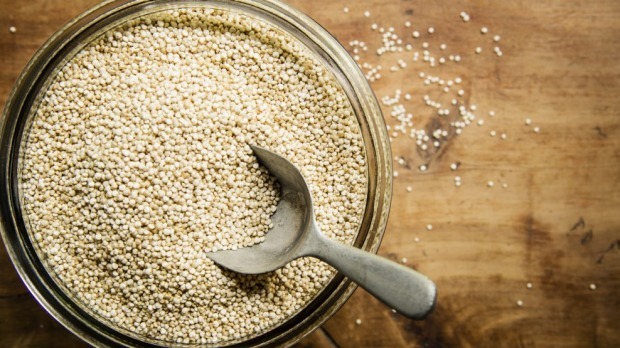 Some reports suggest the increased demand for quinoa in Western cultures means people in countries like Peru and Bolivia, where the grain has been a food staple for decades, cannot afford to eat their own crops. In China, large tracts of land are now dedicated to cultivating goji berries. ‘‘But what happens when they fall out of favour with all the hipsters in Brunswick?’’ says Dr Vagg. Although in the case of acai berries, a small berry grown in the Amazon, the food is so popular that parts of the rainforest are being preserved to harvest the seeds rather than being logged, he says. ‘‘It’s now more economically viable to sell it to gullible Westerners than it is to log the forest,’’ he says.